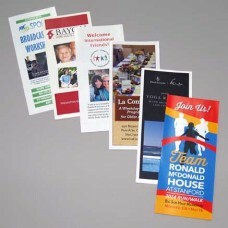 Brochures and letters ordered using this page are printed in color with a choice of suitable papers and folding styles. 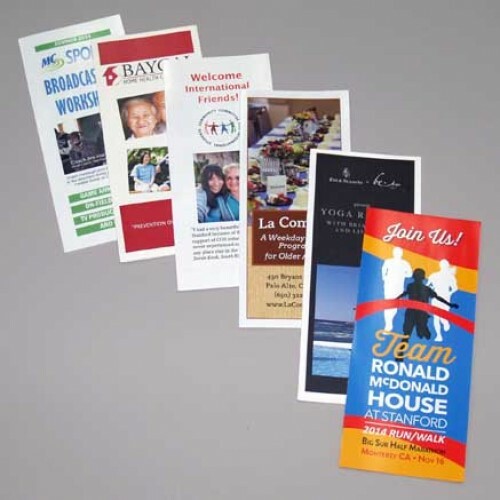 Black & White brochures available are also available by clicking on the Brochures & Letters link on the right column. We also print envelopes which can be found by clicking on the Business Identity category in the sidebar on the right. For custom sizes or projects with unique specifications, please contact us for an estimate by clicking the link below.